I'm sure you'll be very surprised if the 'Pambansang Bae' appears in front of you. Are you going to faint, become speechless for a minute or two, or jump in excitement? Well, for me I think all the choices here. Suzette, a breadwinner who has not celebrated her birthday in 23 years. Oliver, a father who has missed numerous Christmas celebrations to provide for his wife and child. Florencia, a wife who never had a wedding nor a romantic marriage proposal. Richards, who was recently launched as the latest celebrity endorser of Cebuana Lhuillier, personally greeted and delivered the surprise to the unsuspecting clients while they were transacting inside a Cebuana Lhuillier branch. The emotional reunions of each client with their respective families were also captured as they were treated to a mini celebration of the occasion they missed while working away from their families. “We’ve always given each client’s money remittance more value than just a mere business transaction. This time, Cebuana Lhuillier would like to reward these unsung heroes with their much-deserved care and recognition,” Cebuana Lhuillier President and CEO Jean Henri Lhuillier said. 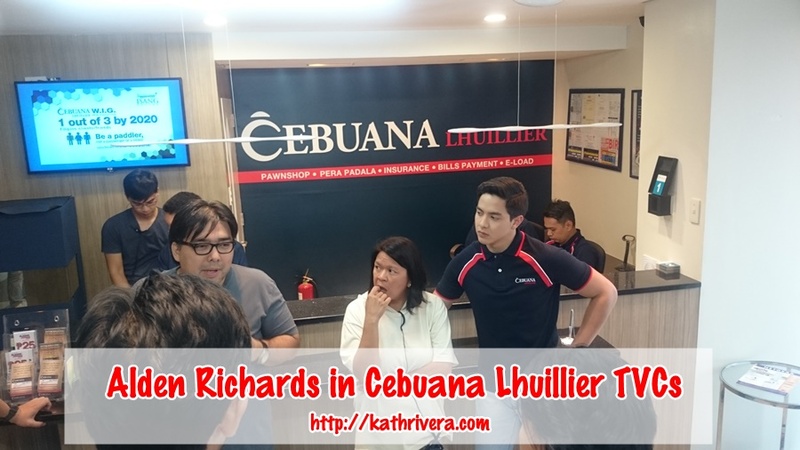 With the official hashtag #AldenCebuanaTVC, the newest Cebuana Lhuillier commercials peaked at number 2 on the Twitter trending list during the day of its official launch last April 10. It gathered a total of 182,500 tweets. The three commercials have also been viewed more than 1.5 million times (as of press time) since it was uploaded on Facebook and YouTube. Truly, this kind of commercial is heartwarming and values the importance of hard earned money. I hope that Cebuana Lhuillier will inspire more Filipinos to instill in their hearts and mind that each peso is a product of long hours of hard work and incomparable sacrifices their clients give for their families. I'm a tear-jerker, cry baby, and while watching the TV commercial my tears fell.